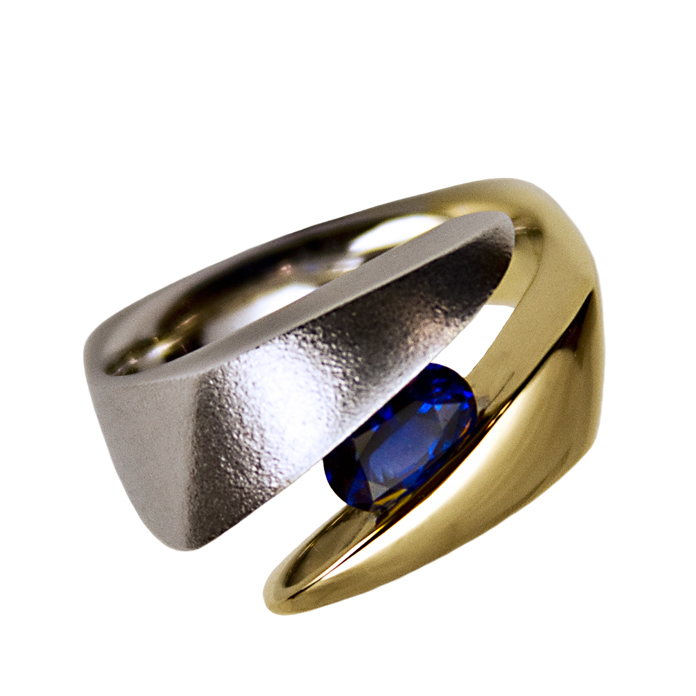 Our pieces reflect our belief that men’s jewelry should be highly original with sophistication of design, comfort, elegance and expert execution. 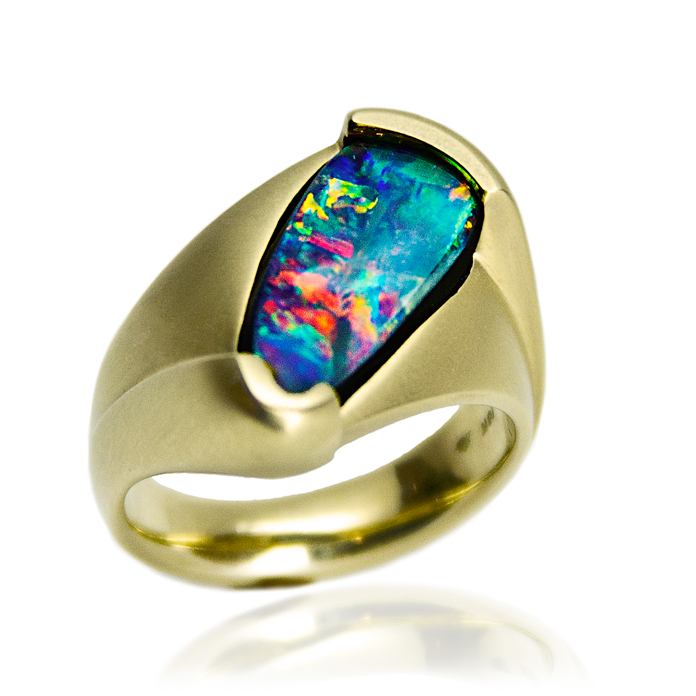 Innovation need not be ostentatious. 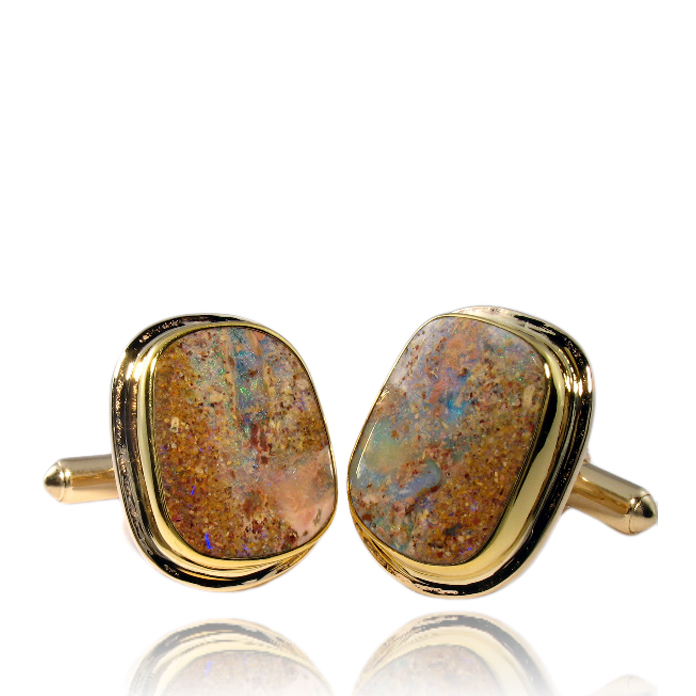 “Desert Sands” – Hand-cut Australian Boulder Opal cufflinks, hand-fabricated in 18k and 14k yellow gold. 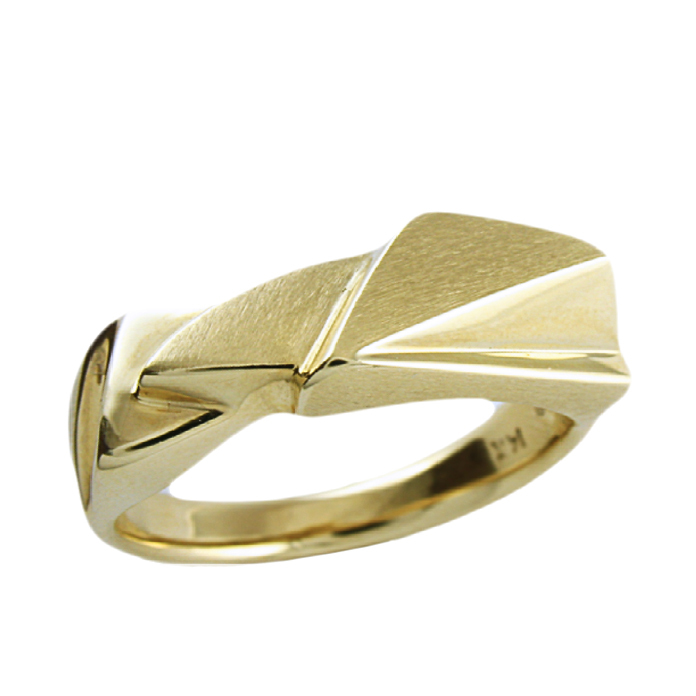 “Golden Shards” – Solid hand-crafted gent’s band, 14k yellow gold. 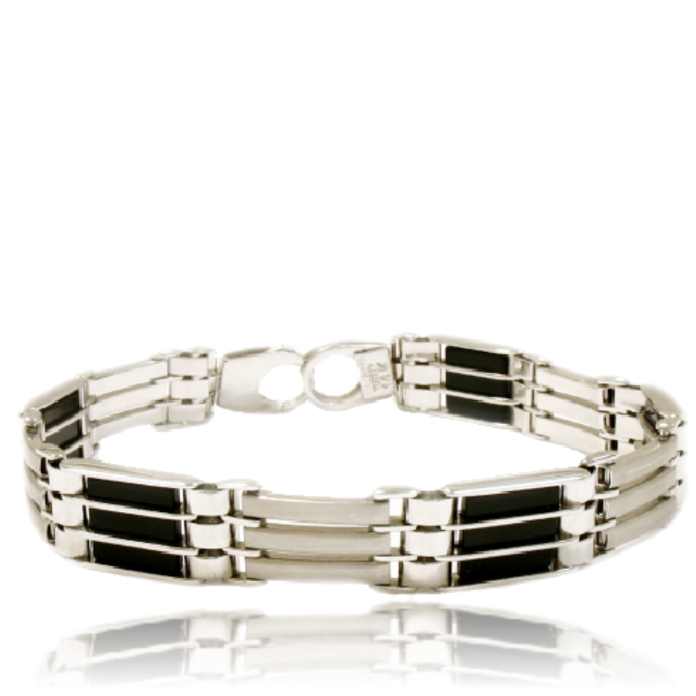 “Caged” – Solid Italian bracelet with “caged” Black Onyx, set in 14k white gold. 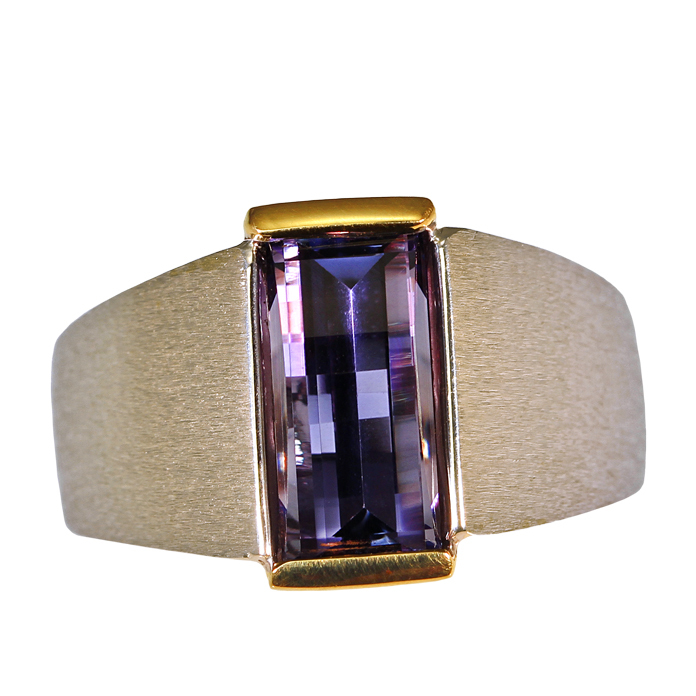 “Tut’s Tourmaline” Men’s Ring – Showing off the warmth of Green Tourmaline this handcrafted gent’s ring features an “Egyptian” finish on it 18 karat yellow gold side and a high polish luster on the 14 karat white gold side. 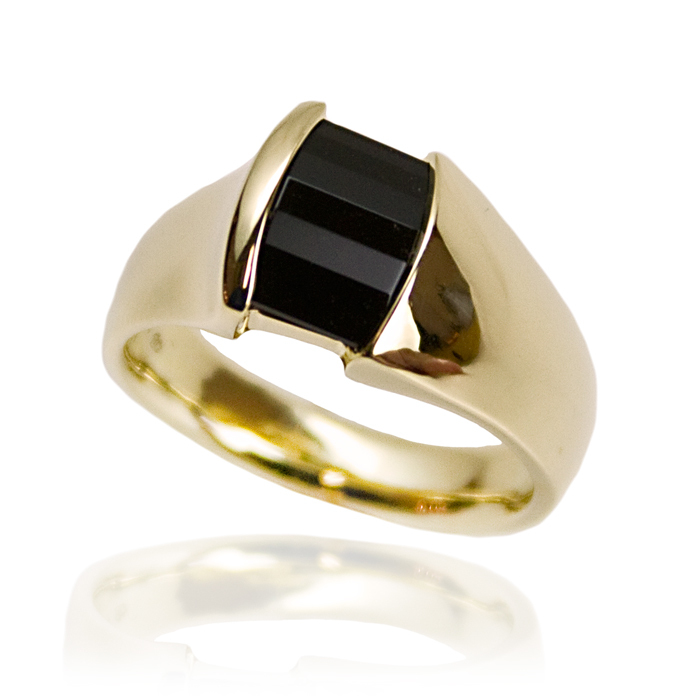 The cushion cut 3.41 carat stone is set in an offset-channel design, suitable for daily wear or elegant celebrations. 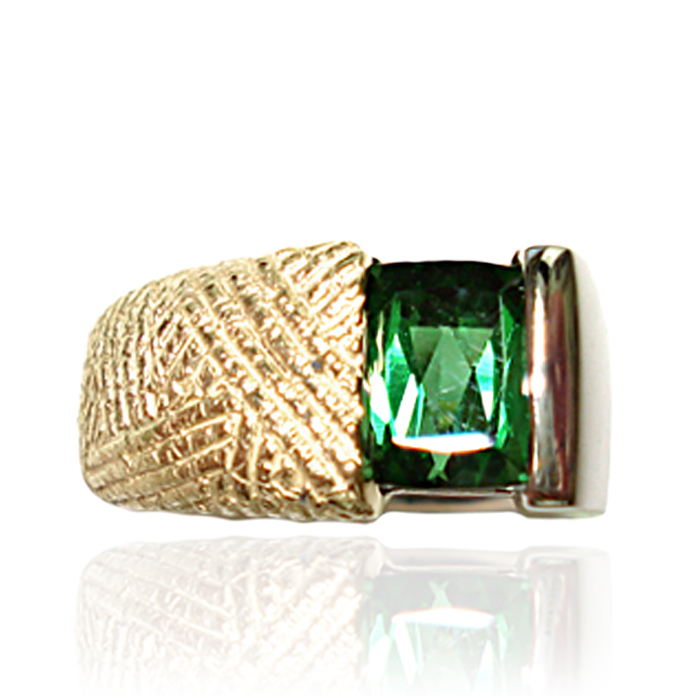 Luxurious and warm. 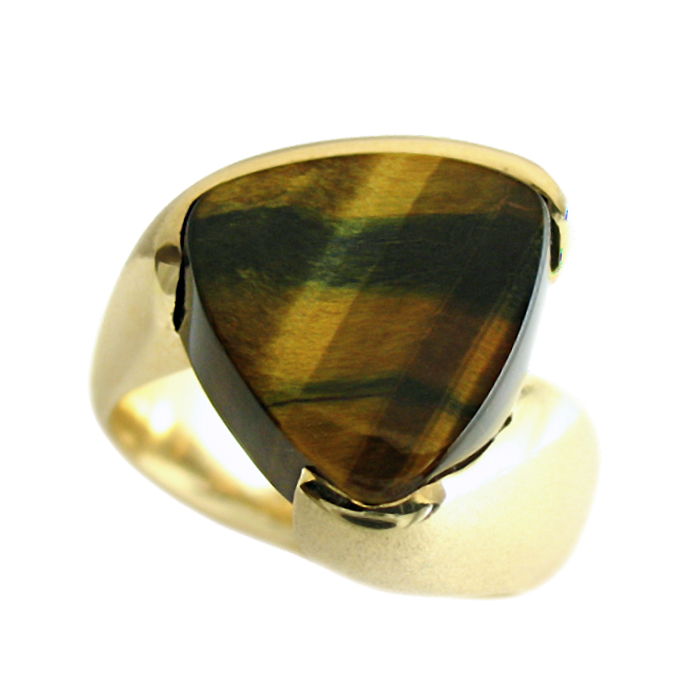 “Tiger’s Eye” – Hand-cut African Tiger Eye gent’s ring, set in 14k yellow gold. 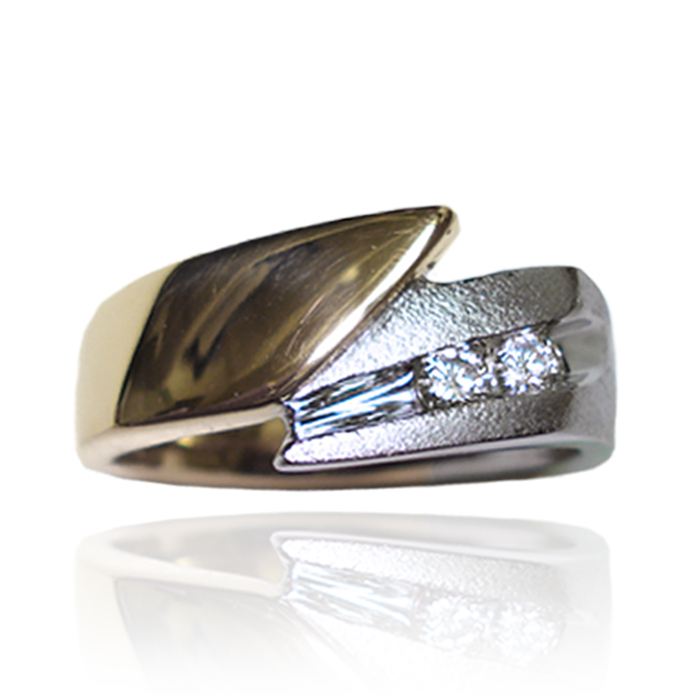 “Harmony Comet” Men’s Ring – Like comets in the sky, two round brilliant channel set diamonds, shoot across the 14 karat yellow and white gold setting. 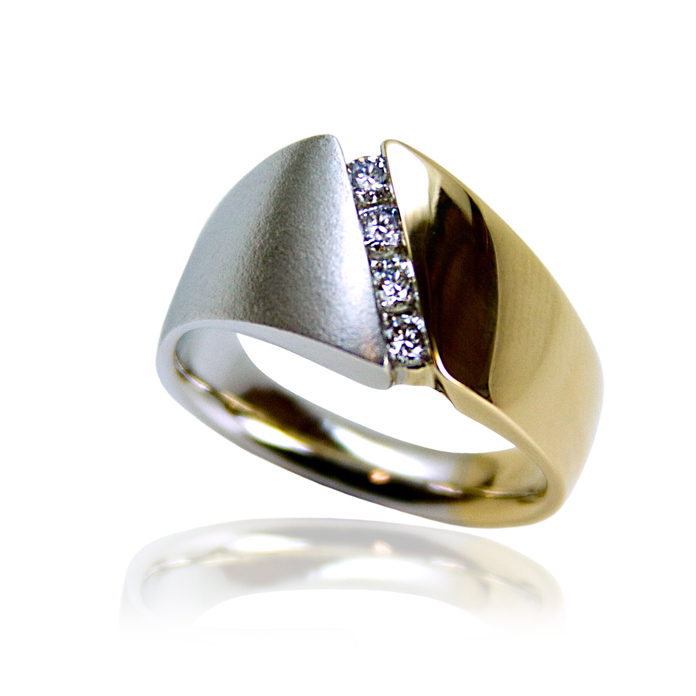 Our signature “Harmony Comet” design can be varied using your choice of gold and diamonds. 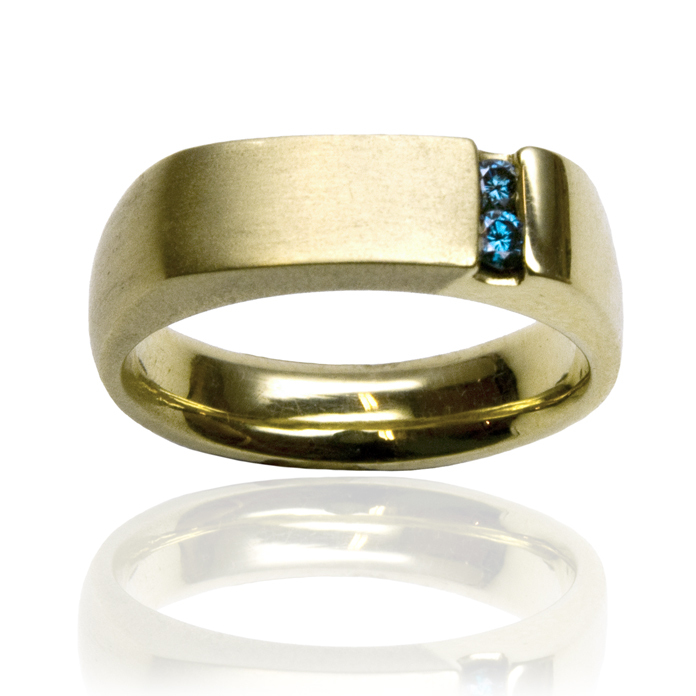 The diamonds total .20 carats, VS-2 clarity and G-H color. 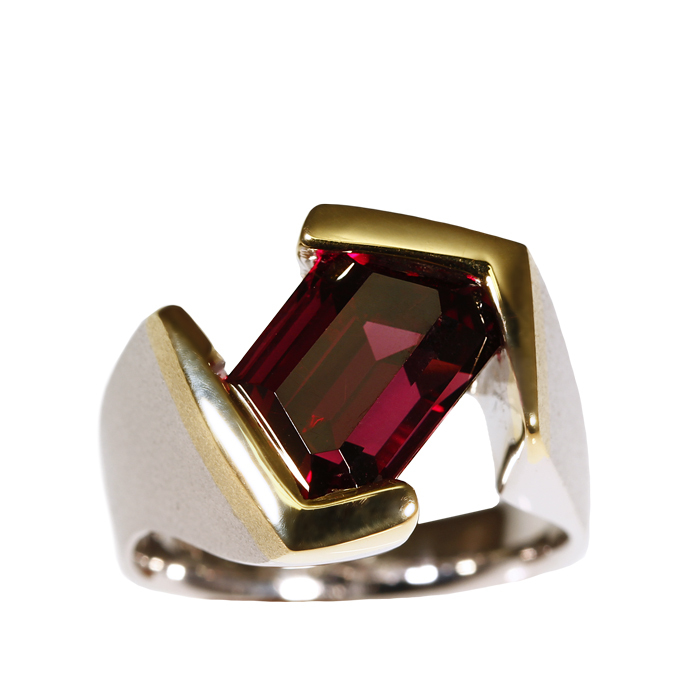 “Trapezoid Red” is one of the most architectural rings we have ever created. 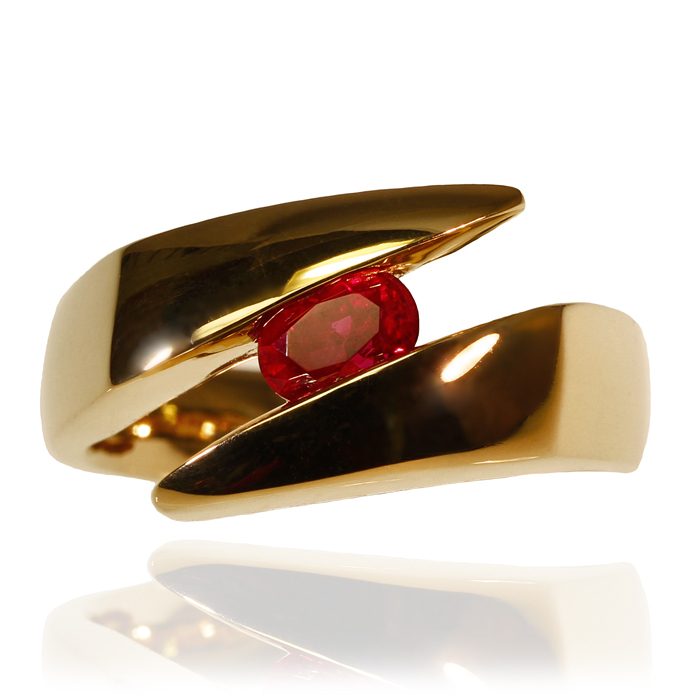 Our 18 karat yellow and 14 karat white gold setting holds a unique 9.91 trapezoid cut Rhodilite Garnet cut by Steven Moriarty.